The first year of a baby’s life can be a difficult one to navigate, with sleep one of the biggest worries for new parents. While there’s no secret to ensuring sweet slumber, there are sleep stages that babies and children go through. And because forewarned is forearmed, here’s the lowdown on what you might expect as your baby grows. Not enough sleep, too much, sleep cycles, naps – getting your head around babies and their sleep habits can be overwhelming. Our handy sleep guide will explore your baby’s sleep at each age, and also which swaddle and sleeping bag best suits each age and stage. New parents are told newborns just sleep and eat, and it all sounds so simple, until your tiny little one won’t sleep for love nor money. Generally, newborns will start to get overtired if they’re awake for more than one to one and a half hours. It’s an individual choice if your family is following a sleep routine, but regardless, you need to be aware of the tired signs, which warn you bub is ready to sleep. Miss these, and you’ll probably have a very upset baby in your arms. Swaddling your baby will give them the cosiest start to sleep, and a swaddle wrap that protects against hip dysplasia, is a great choice for this age. Babies can have a very strong startle reflex, and can also wake themselves by scratching their faces. Being snugly wrapped up simulates the mother’s womb by allowing natural movement, as well as allowing bub to self-soothe and settle back to sleep. When your baby hits about four months they should start to be able to tell night from day, and therefore may settle into more ‘normal’ sleep cycles. You can reinforce these sleep patterns by instituting more regular nap and bed times, trying to stick to a fairly consistent bedtime routine and making sure that when they wake during the night, you keep the atmosphere as dark and quiet as possible. Ensure that the time before bed is calm and peaceful, so that this can become part of the recognised sleep routine. From about four months your baby may start to show signs of being able to roll from their back to their tummy. This can be a difficult time for sleep, because babies who have been swaddled might start rolling around in the cot and waking themselves up. Even if your baby has loved being swaddled, once they start rolling it’s time to begin the transition to a different type of bedding. Typically by six months, your baby will be sleeping around 14 hours a day. Your baby will almost certainly be rolling around the cot and therefore swaddling is not recommended. If you’ve transitioned out of swaddling then it’s now time to instil good sleep patterns by creating consistent nap and bedtime routines. A sleeping bag is helpful at this stage, because not only will it give you peace of mind that your baby is warm enough (no kicking off the covers! ), but once it forms part of the regular bedtime routine it will start to become a sleeping cue for your child. Your baby may have fallen into a wonderful sleep routine over the past few weeks, only to begin waking during the night, and fight going back to sleep. Try and be consistent if this happens with your baby, and keep the sleep environment dark and quiet. At this age, it’s time to reinforce the good work that’s been done over the past few months. Continue with bedtime ritual – bath, sleeping bag, book, bed is a great option. Also take note of how you respond to night waking. While each baby is different, at this age, most babies are able to settle themselves back to sleep. As with everything, the key is consistency. Babies can fall out of good routines after illness or changes like holidays, but if you stick to what you were doing originally, there’s a good chance you’ll get them back on track before long. Many parents are concerned about their little ones dropping sleeps after the age of one. It’s good to remember that, particularly at this age, sleep promotes sleep – so good day sleeps will often translate into a good night’s sleep. Also remember that your child is now going through some big development leaps, like crawling and walking, and this can also impact sleep. The key is consistency with the nap and bedtime routines and by now you’ll be an expert at recognising those tired signs. 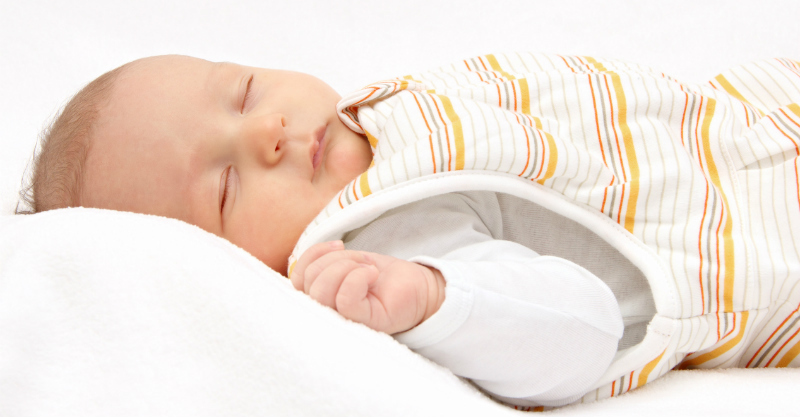 Your baby will hopefully also respond predictably to the sleep cue of a sleeping bag, if you’ve used one. This is particularly helpful when out and about – if you know your child needs a nap but you can’t put them into their regular cot, a cue like a sleeping bag will hopefully help them get the rest they need no matter where you are. While most of us hope our children are sleeping soundly by this age, almost half of children aged two to three years are still waking a couple of times a night, so if that’s happening at your place, don’t worry! 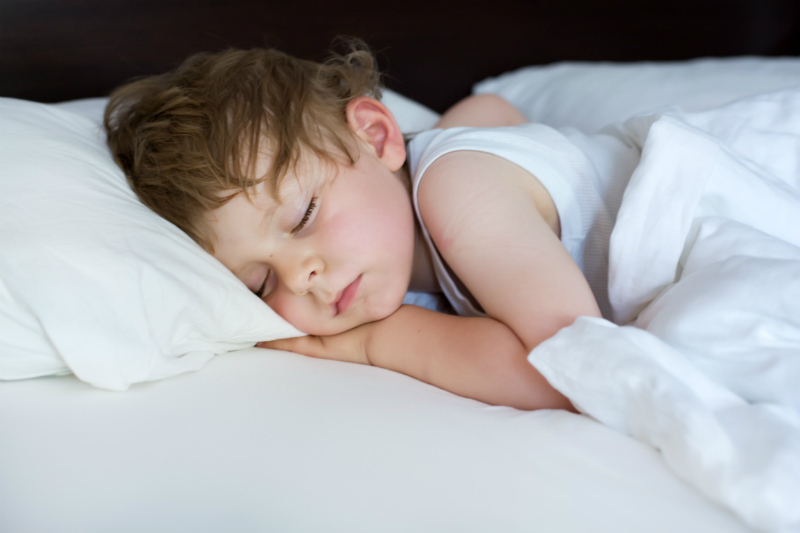 By this age children will be transitioning to or already sleeping in a bed and can wake up cold because they’ve kicked off their covers, and also be prone to falling out of bed until they get used to it! Again, it’s about keeping up a consistent bedtime routine, which gives your child enough time to wind down. As parents, we know that every baby is different, and these sleep stages are only a guide. Remember to talk to your health professional if you have any concerns about your child’s sleep. And try to remember, it won’t last forever – so when your baby is finally asleep, take a minute to watch their beautiful, peaceful faces – and be assured you’re doing an incredible job.